/ What is eCom profit sniper and will you really make loads of cash? What is eCom profit sniper and will you really make loads of cash? Before I get straight into my review, I just want to share some thoughts with you. I have been researching ways to make money online for quite some time now. I have come across a few (not many) legitimate ways to make excellent money. I’ve found lots of ways to make pocket money. I’ve seen loads of scams, or products that might not be considered scams but are definitely shady and make you feel like you need a shower to remove the grubbiness. I think it’s in everyone’s nature though to want to make big money, and with the nature of technology now, we all want things quickly. We are used to getting access to things within moments. We have forgotten that some things in life take patience. We don’t always get what we want in seconds. This is where the get-rich-quick schemes really play to our weaknesses. They know we want things fast, and they know we want lots of whatever it is on offer. 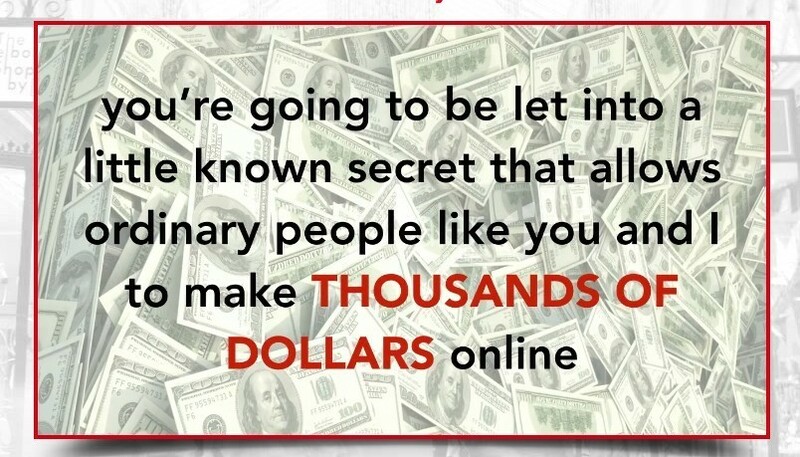 There are just so many sites out there claiming to be able to make you LOADS of money doing next to nothing. I find new sites every day. I can barely keep up with them. And many of them have similar characteristics. Many of them seem to have THE answer that will change everything. And they are willing to make some pretty amazing claims to get you to sign on the dotted line. Anyway, I’m sure if you’ve found this page because you’ve either heard about eCom profit sniper and you’re wondering if it’s legit. Or you’ve found me because you just want to make some genuine money online without being lied to. Well I am here to help, and I’m glad you’re doing your homework before signing up to anything. What is eCom profit sniper? The eCom profit sniper site has a similar style to several others that I’ve reviewed recently. The site is basically just a video and sign up squeeze page without much else. I have seen so many videos follow this formula now. We’re told a few things to get us imaging ourselves earning big bucks. 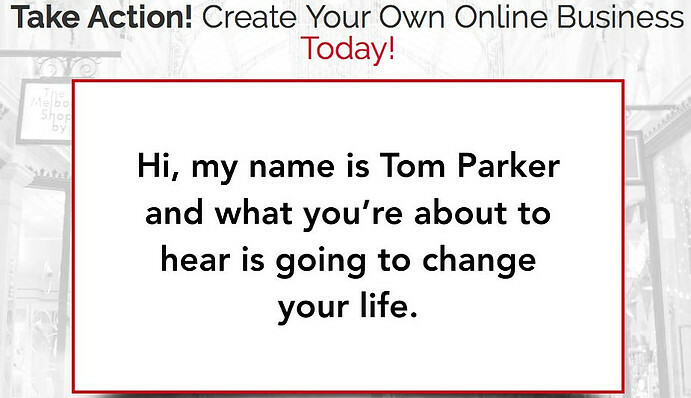 Oooh tell me Tom, what’s the little known secret? I’m an ordinary person! I NEED TO KNOW! Tom explains that ‘regular Joes’ are making $10,000 per week doing this. Tom himself apparently made $521,704.33 in one year. We see some bank balances and start to imagine what life could be like. Maybe if Tom can do it, I can too? As the video goes on, it starts to take a turn and starts to differentiate itself a little from other videos of its type. The difference with eCom profit sniper is that apparently the background of founder Tom Parker is that he already had extensive experience working in digital marketing when he created his product. He had experience in making money online for the company he had worked with for many years. There is another big difference with eCom profit sniper. The video does talk about the method they use to make money. Many videos like this fail to mention the ‘how’ and you’re left in the dark. So that is a big plus in my book. We know (sort of) what we’ll be getting into if we purchase this product. So what is the secret product that “only a handful of people are using”? So what is eCom profit sniper really about? 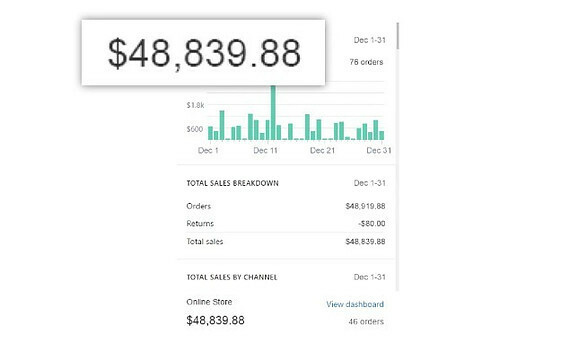 It turns out that eCom profit sniper is actually a training product that teaches people how to make money via a Shopify store using a dropshipping model. According to Tom, “Shopify is the golden ticket”, and he says again that nobody really knows about it. I thought most people had heard of Shopify and that many would have at least a vague idea of what it is about. I know I’ve certainly heard of Shopify and have even entertained the thought of setting up my own Shopify store. Anyway, that is the model – a Shopify store using dropshipping. That is actually a tangible and legitimate way to make money online, and there are many people who are hugely successful at it. If you aren’t familiar with Shopify, you can have a look here. You can register for a 14-day free trial with Shopify. There is an initial setup guide for you to follow, which features step-by-step tutorials for the main tasks you need to complete before you start selling. There is also a setup checklist to track your progress. There are loads of tools available within Shopify to support you and your business. They also have a YouTube channel full of support material. It is in Shopify’s interest for you to make money through their platform, as you pay ongoing fees for Shopify, together with a small transaction fee on every sale. So Shopify want you to succeed! The price to sign up for eCom profit sniper is $37. However, when I clicked to sign up for the product it was discounted to $27. What is not clear in the video is that there are costs involved in setting up a Shopify store. The eCom profit sniper price is only for the training. You will need to pay for the costs associated with Shopify. eCom profit sniper also mentions in the video about support with ‘highly converting FaceBook ads’, which means that part of their teaching strategy is paid advertising. You will need to factor that in. The eCom profit sniper product is available through Clickbank, which means that you can access a full refund if you’d like within 60 days. Is eCom profit sniper a scam? eCom profit sniper is a legitimate product that teaches you to make money using the Shopify dropshipping model. A full refund is available if you don’t like the product it is not a scam. However, the video, in my view, is incredibly misleading. If you think you can work for 20 minutes each morning and earn half a million dollars every year, you have another thing coming. It takes a lot of work to set up a dropshipping store, and you need to work really hard at driving traffic to the store in order for the sales to happen. It doesn’t happen in 20 minutes. I really do not like videos that make out ecommerce to be easy and you just watch the money roll in. It isn’t like that. In my view, you do not need to purchase this product because there is an abundance of freely available information to assist people to set up their own Shopify store. The documentation and tips within Shopify itself are excellent. If I were you I’d save your money, and if you want to set up a Shopify store, head on over to Shopify and get the information straight from them. Always go with a legitimate platform that doesn’t make over the top claims. Find out more about the company by reading reviews. A reputable website will provide contact information, detail about what they do and how they do it. The best ones will even encourage you to have a look around the platform to test it out for free first, so that you can make an informed decision about whether the product feels right for you. With Wealthy Affiliate, what you see is what you get. Nothing hidden, and nothing over promised. If you have any comments or questions please leave them below, and I’m always happy to help you out.